Welcome to The Ultimate Guide to SEO in 2019! 15 years ago, ranking highly on Google was easy. You could stuff your page with the keyword you wanted to rank for, include some links and voila! Google ranked you highly. Today, Google is much smarter about ranking your pages. They don’t just crawl your website to identify keywords, internal links, and backlinks. Instead, they take into account over 200 ranking factors to decide where your page will rank on their Search Engine Results Page (SERP). Throughout this guide, I want you to think User Experience. In my opinion, this is absolutely the most important thing you should be considering in terms of SEO in 2019. Remember, Google wants to provide the best possible answer to a searchers query. If your webpage gives a clear answer to the search query and your website is user-friendly, you are in with a chance of ranking highly on Google. The only problem is, knowing that User Experience is important for ranking highly on Google is the easy part. Knowing exactly what you need to have in place to tick Google’s boxes is where it gets tricky. Which is exactly why I have written The Ultimate Guide to SEO in 2019, just for you. The sections we are going to cover throughout this guide are listed below. So, let’s get stuck in! In the first section of our SEO in 2019 guide, we are going to look at different features of Google’s SERP. This is extremely important in understanding what we need to do to optimise our content and rank highly on Google. The features below have been around for some time now but as they continue to develop, they are going to become even more important in gaining the edge over your competition! First of all, what is a featured snippet? Well, a featured snippet is a summary of the answer to a searchers query. This summary is displayed at the very top of Google’s SERP. I can guarantee you have seen a featured snippet. In fact, you probably come across them on a daily basis. But for those of you that don’t know what a featured snippet looks like, we’ve provided a tasty pancake example below. These featured snippets are often referred to as the ‘#0 spot’ on Google. They are becoming increasingly common on Google SERP, especially for ‘how to’ and ‘what is’ search terms. The featured snippet is usually exactly what the searcher was looking for but nothing more. For example, the search term ‘how to make pancakes’. From the featured snippet shown above, people would be able to make pancakes without having to click through to the website. These featured snippets are one of the reasons that Google has now become the destination of a search rather than just a ‘gateway’ to other websites. What we mean by this is Google presents the important contents of another webpage on their SERP, rather than just showing the website link. If Google provides the answer to a searcher’s query without having to direct the user to a website, their own User Experience is improved. So, how can I get my content to appear in the featured snippet? 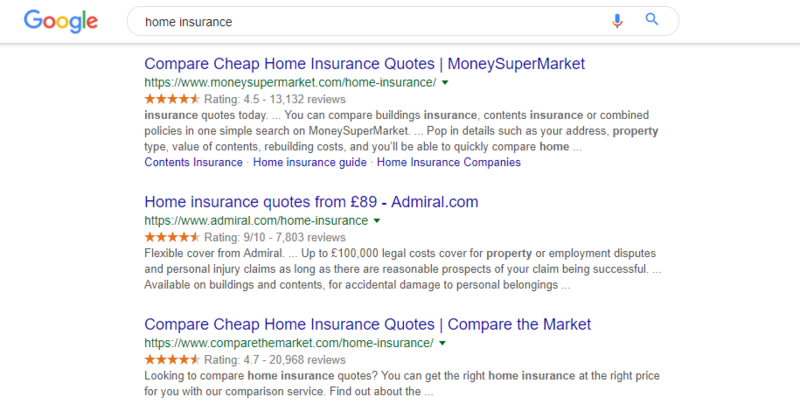 There are many ways in which you can try and get your content into the featured snippet, but fundamentally your page must already rank within the first 4 results for the search query. And to be honest with you, even if your page ranks in the 4th place on Google, you will still struggle to make it into the featured snippet. It’s much more likely that Google will pull the featured snippet from the page in 1st position. Due to this, you will need to follow the rest of the tips within this guide to rank highly on Google in the first place. But for now, bear in mind that you can structure content in short paragraphs to keep within the 40 – 60 word limit for featured snippets. This is usually only feasible when it comes to things such as definitions. You may also wish to consider structuring your content in list form where possible. 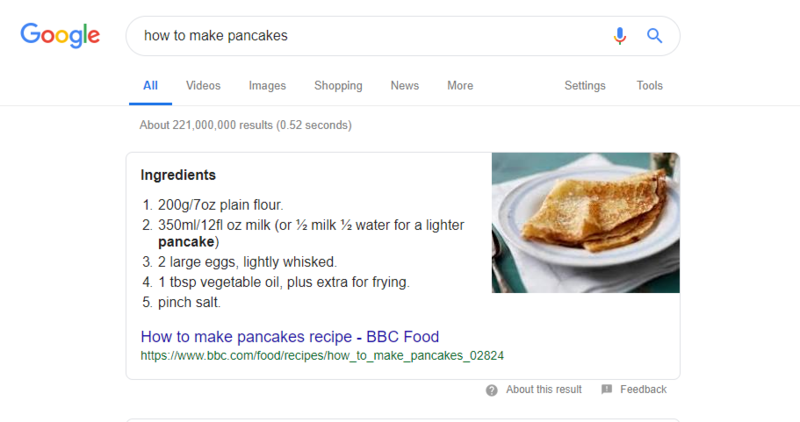 This way, your content may appear in the featured snippet, much like the ‘how to make pancakes’ example above. The only other type of featured snippet is a table snippet. However, these only make up 7% of featured snippets so they are much less common. If your content does make it into the featured snippet, there is a chance you will see a drop in your click-through-rate (CTR). This is because some users may not need to click through to your website to get the information that they need. However, you could still see an increase in traffic to your website as you are situated at the very top of Google SERP. Another feature of Google’s SERP you need to be aware of for SEO in 2019 is the rich snippet. A ‘rich snippet’ is a term used to describe structured data markup you add to the HTML of your website that tells Google more about your webpage. To me and you, that means putting code onto your website that tells Google to display your reviews, ratings and site links in the SERP. Now, putting this code into your HTML can be quite tricky. So, if you wish to add rich snippets to your website but don’t have much of a background in coding, take a look at this website founded by Google for a helping hand, schema.org. Alternatively, ask your ‘web guy’ to sort it for you! Rich snippets include information on SERP that goes beyond the URL, title, and meta description. So that we are all on the same page, take a look at the rich snippet examples below. Can you see that there is additional information such as; ratings, reviews, and site links? This is all possible using structured data to tell Google more about your business and what you want to be displayed. It’s also worth mentioning that Google can automatically generate rich snippets for your website, even if you aren’t using schema. It all comes down to how well your website is structured. If Google can easily crawl your website and distinguish categories, they may generate rich snippets for your website. This is why schema is so good because you can be sure that certain data is being pulled from your website by Google. And the easier Google can crawl your website, the better it is for SEO. Now, not all websites need to have rich snippets. Say for example your website doesn’t have reviews or ratings yet, then you don’t need to worry about them. Also, be aware that results with rich snippets tend to take up more space on SERP. This can potentially increase your CTR and the site links can encourage searchers to click through to your website. We would be doing you an injustice if we didn’t mention Google My Business as a necessity for SEO in 2019. This is important for local search and is vital to your success. Especially if you have a physical shop that sells products. 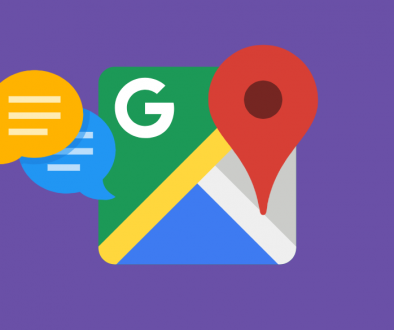 We covered ‘How to Set Up Google My Business’ back in 2018, so if you’re not set up on Google My Business, looking at that post would be a great place to start. 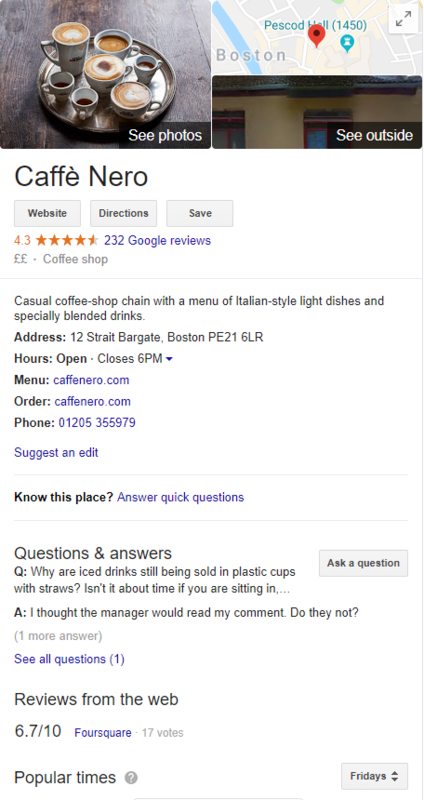 We can now take a look at exactly what Google My Business looks like in SERP and why is it so important. 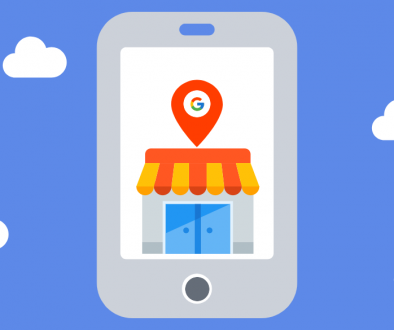 When someone conducts a local search for your business or a category your business falls into, your Google My Business listing can appear on the right-hand side of the SERP. The listing includes a button that links to your website, directions to your business through Google Maps, and features such as reviews and photos. As well as those features, you can also display details about your business such as; contact information, opening hours and a short description. I’ll say this again as it is so important. Make Google My Business set-up your #1 priority. This way, you won’t miss out on potential customers that are actively looking for the products and services you provide. Now that we’ve covered the important features of Google’s SERP, we can delve in and take a look at the other things you need to consider for SEO in 2019. For years now, creating high-quality content has been fundamental to ranking highly on Google. This factor alone isn’t going to change going into 2019. However, the length of that content may. We noticed that the content appearing right at the top of Google is on the lengthy side. Due to this, you should focus on creating in-depth content of around the 2000 word mark for the specific topic (keyword) you want to rank for. This way, your content not only answers the searcher’s query, but it also provides them with extra information they may need around the topic. Think about the next few questions that a searcher would ask themselves following a search query. Once you’ve figured out the possible questions they may ask, answer those too! If your page provides the searcher with everything they need, Google is more likely to deem your page useful and rank you higher. Building a positive brand reputation and a high E-A-T score will be crucial for SEO in 2019. There are many ways in which you can build a positive brand reputation. Focusing on your E-A-T Score is a good place to start. First of all, what does E-A-T stand for? This score is something that Google measures as a factor when it comes to ranking your content. The higher your E-A-T score, the better your brand reputation. The better your brand reputation, the more likely you are to rank highly on Google. Google doesn’t just rely on machines to rate the quality of a website anymore, they hire over 10’000 human ‘quality raters’ that analyse search results to identify good or bad E-A-T scores. If you’re interested and think you may find it useful, you can take a look at Google’s Quality Raters Guidelines. Alternatively, read the next section of our SEO in 2019 guide. We’ve done the hard work and come up with some tips to improve your E-A-T score and in turn, your brand reputation. Google states that having an understanding of who is behind the website and its contents is a critical part of establishing the E-A-T score. This is important not only for Google to evaluate your expertise, but putting a name and potentially a face to the author of a post increases the trustworthiness of your site. Obviously, there are certain businesses that need more expertise and trust than others. We refer to these as YMYL (Your Money or Your Life) businesses. If your business could impact someone’s life or cause them to lose money due to bad advice, Google will understand this and knows that the website needs a higher level of scrutiny. Say, for example, your website gives legal or financial advice. Google would measure the level of expertise much more closely than say, a celebrity gossip blog. It is possible that if you are a small business, you may struggle to establish the brand reputation want. Google Quality Raters are advised that for small businesses, they may need to ‘review reputation information created by third parties’. In true Google fashion, this is pretty difficult to decipher. Basically what it means is looking to see if 3rd parties trust your website and the content you are creating. For example, have other websites linked to your website? Or are you thought to be spreading incorrect information? If your website was deemed to be doing the latter, your E-A-T score and in turn ability to rank highly would be greatly reduced. This is why it is vital that you create and share accurate information. Invest time into your own personal branding by utilising social media. Interact with other influencers and industry experts to establish a positive reputation in your sector. You may also wish to share the story of you and your business. This can help to create a trustworthy relationship between you and your audience. Making sure that you tick the trustworthy box for your E-A-T score goes beyond creating accurate content and having a positive reputation. Your website must also be secure. This could be one of the most important points in our guide to SEO in 2019. Basically, if your website isn’t secure, you’re setting yourself up for failure. Especially if you sell products online. In the Quality Raters Guidelines, Google uses an example of an insecure checkout as a page that should receive a low E-A-T rating. This tells us that it is essential that your website is secure. Especially as Google Chrome now tells users that an HTTP URL is not secure. There is even a notification that tells users they shouldn’t enter any sensitive information such as card details or address. To make your website secure, you need something called a valid SSL certificate. Most web hosting services include a valid SSL certificate these days. But if your website doesn’t have one, you should contact your host to purchase the certificate ASAP. 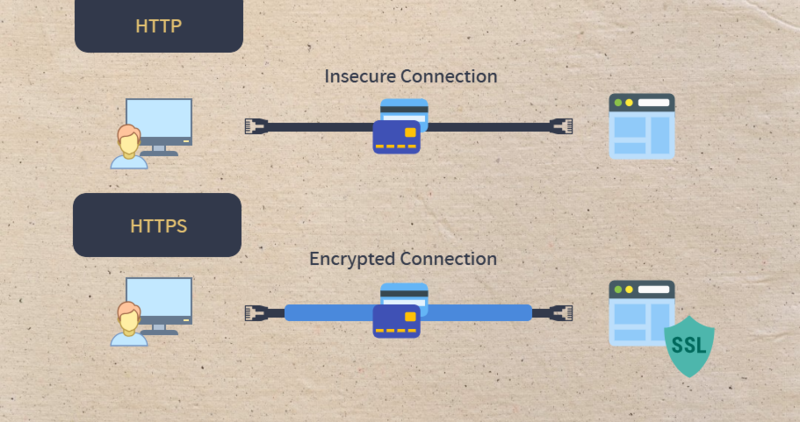 The SSL certificate means that the connection between your website and the server is encrypted. Meaning when a user enters their details, they are kept safe. Google has started to roll out something called ‘mobile-first indexing’. What this means is that Google will now consider the mobile version of your site before the desktop version when crawling your site to determine rankings. This makes sense, as over 60% of all searches conducted through Google are now conducted using a mobile device. As we know, Google wants to provide the best User Experience possible. For this reason, the content you are creating and your website must be optimised for mobile. Now you don’t need to panic per se, as Google hasn’t rolled mobile-first indexing out across all websites yet. You will receive notification from Google stating that mobile-first indexing has been enabled for your website. They are only rolling out mobile-first indexing to websites that they deem to be ready. Saying that we felt it was very important to give you a heads up. This way, you can take the relevant steps throughout 2019 to be fully optimised for the change. It’s also important to remember that this is called mobile-first indexing, not mobile-only indexing. This means if your website isn’t mobile friendly, Google will still crawl the desktop version of your website to see where you will rank. So it’s not like your website won’t rank at all because you don’t have a mobile-friendly site. However, not having a mobile-friendly site would definitely have a negative effect on your site’s performance on Google. Mobile optimisation by definition is the process of ensuring that visitors who access a website on a mobile device have a high-quality experience, optimised for the device. 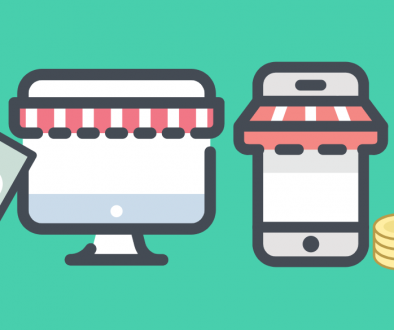 There are many different ways in which you can optimise for mobile. Let’s take a quick look at a few things to consider now. To ensure the fastest possible loading times on mobile, you should optimise your images, clean up your website code and reduce the number of redirects. This will decrease the loading time of your web pages, especially on mobile. You may also wish to turn your web pages into AMP’s (Accelerated Mobile Pages). If you want some more information on AMP’s, take a look at our Beginners Guide to Accelerated Mobile Pages. In the past, developers of mobile sites often blocked either one or all of these elements. This was due to the fact that the mobile devices couldn’t support them. Today, smartphones are much more powerful and blocking these can be detrimental to your rankings. The Smartphone GoogleBot wants to be able to see exactly the same content as the users see. It is important that you don’t hide these elements as they help Google to understand exactly how responsive your site is on mobile. You should, however, use web-optimised images as they are smaller in file size which helps to reduce loading time. Can you remember structured data and rich snippets section from earlier on in this guide? Well, these can be even more important and effective on mobile. The reason for this is linked to the point above and it’s all about screen space. Think about it, if you rank on the first page of Google and you can take up more space with rich snippets, you’re going to take up a lot of the screen on a mobile device. This can increase the chances of a user clicking through to your website. To have rich snippets for your mobile meta description, you should take a look at the website we mentioned earlier (schema.org). There is a handy little website out there, created by Google, that allows you to run a free test to see if pages on your website are mobile friendly. If you are concerned about the way your site performs on a mobile device, pop along to Google’s mobile-friendly test website and begin running tests of your own. They will also give you recommendations of what to do if your web page isn’t optimised for mobile. Let’s move onto the final section of our Ultimate Guide to SEO in 2019! Over the last couple of years, the way in which we search has changed a lot. Arguably the most prominent change coming through the mainstream use of voice search devices. With Alexa, Siri and Google Assistant now being household names, it’s safe to say voice search is everywhere. In our phones, on our wrists, even in our cars. And changes in the way we search means changes for SEO. It is predicted that 50% of all searches will be conducted by voice by 2020. Which means 2019 could be a big year for optimising content for voice search. We’ve covered ‘How Is Voice Search Changing SEO’ in a previous post. So if you missed it, take a look to get up to speed. Firstly, Where Do Voice Search Results Come From? Well, voice search results are pulled from the top 3 results on Google’s SERP 75% of the time! For this reason, your content must already be ranked near the top of Google to appear (or be spoken) following a voice search. So, it doesn’t matter whether the search is conducted by voice or conducted through a text search, the results will be similar. The only thing is, the structure of voice queries differ from desktop search. They are usually in sentence form and 9 times out of 10 they will be done using a mobile device. This is another reason why it is so important that your website is optimised for mobile. The result will be either spoken back to the user or displayed as a result, depending on what device was used and the nature of the voice search. Before we continue its important to clarify something. The following points are in reference to optimising for question voice searches, not all voice searches. Let me explain in case you are a little confused. In a nutshell, there are 2 types of searches, direct and question searches. A direct search is when someone is searching for a specific product or service you provide. An example of this could be ‘buy cheap lazyspa’. This links heavily to the section earlier on in this guide about ‘High Quality, Long-Form Content’. You need to think about what the user wants to find out, then provide them with all of the information around that specific subject. Answer the next couple of questions a user would ask themselves after finding out the answer to the main question. In doing this you are creating the best possible User Experience as the searcher will get more than they bargained for. The importance of this doesn’t change when it comes to voice search. This is because the results to a voice search are pulled from the same search results you would find from a desktop search. My advice for voice search optimisation would be don’t over-do it. For example, there is no point posting one question blog posts with one paragraph answers to try and make it into the featured snippet to answer a voice search. That would be going against almost every other recommended SEO practice out there. You need to create the best possible content to provide an answer to a searchers query. All while keeping the User Experience of the page as high as possible. If you do that, you could make it up the rankings and in turn, could be the answer to a voice search query. And that’s a wrap! 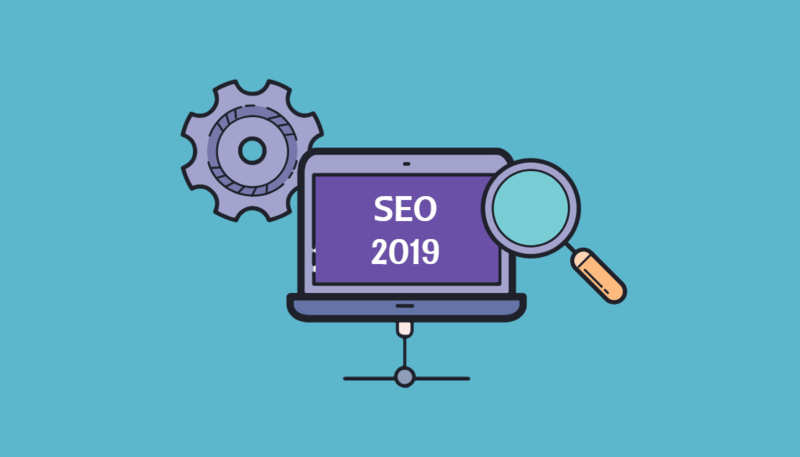 Our Ultimate Guide to SEO in 2019 is complete! Follow our guidance going into and throughout 2019 and you will begin to see yourself fly up the difficult ladder that is Google’s SERP. Don’t forget to check out other useful resources at bakdigital.co.uk. What are Power words – the secret tool that can send your sales soaring	Instagram for business – the why and the how.